The final Game of Thrones related panel at Walker Stalker Con London last weekend featured Isaac Hempstead Wright (Bran), Kristian Nairn (Hodor) and Richard Brake (The Night King). 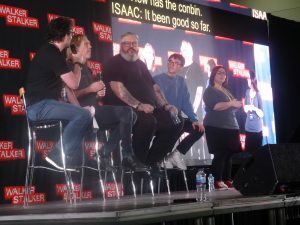 The assembled panel had a lot to talk about from the downsides of costumes and makeup to insane fan theories and their affect on the cast members involved. While the cast didn’t exactly drop any huge spoilers about what’s to come in the final season we did learn a lot more about what working on Game of Thrones was like though. 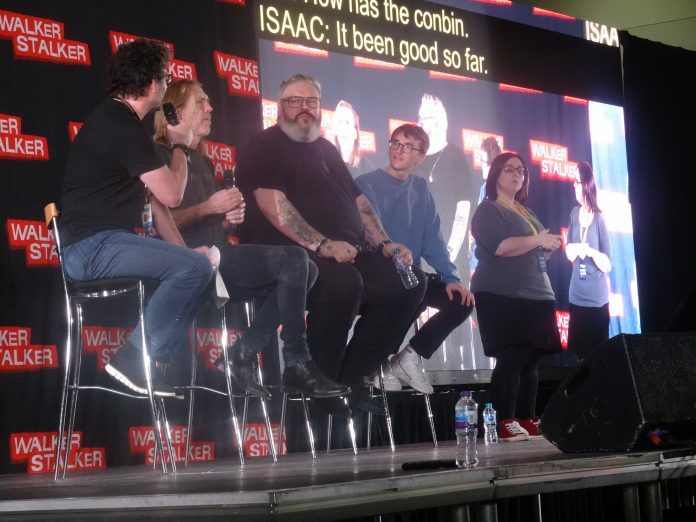 Check out all of the Walker Stalker Con London footage on our YouTube.